This site has been quiet for a little bit. But that’s not to say I haven’t been busy. I’m looking forward to sharing a few announcement as to what I’ve been up to in just a few weeks. But in the meantime, I wanted to share an upcoming event I’m participating in and a non-comics/education work. 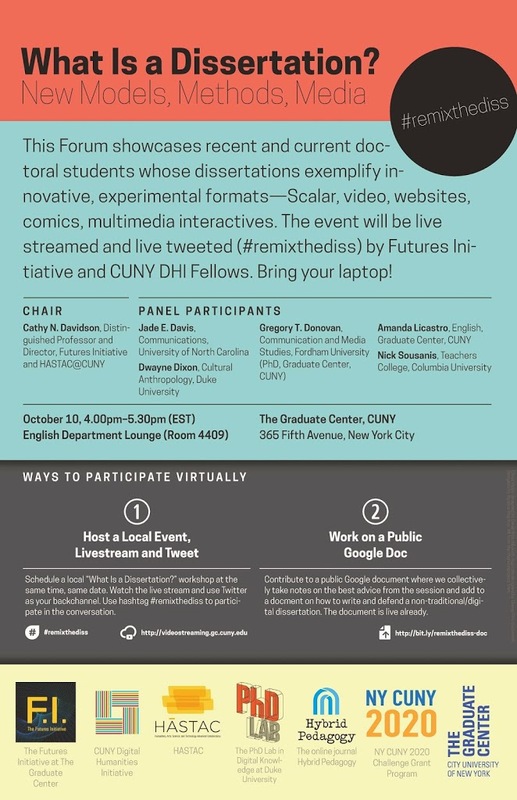 First up, on October 10 at the CUNY Graduate Center from 4-5:30 pm, I’ll be participating in a panel called “What is a dissertation? 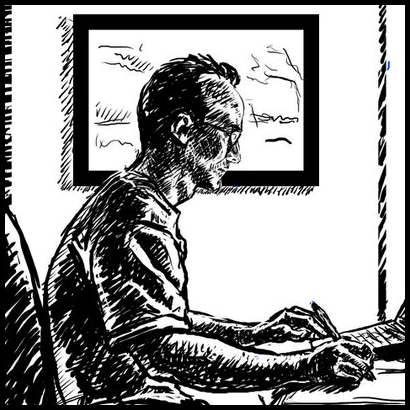 New Models, Methods, Media.” As the name indicates, it’ll feature doc students and recent grads talking about their experimental and innovative scholarly forms including digital, multimedia, and, in my case, comics! It’s hosted by the super awesome Cathy Davidson, director of the Futures Initiative and founder of HASTAC. I’ll be paneling alongside Jade E. Davis of University of North Carolina, Dwayne Dixon of Duke, Gregory T. Donovan of Fordham, and Amanda Licastro of the CUNY Graduate Center. On a different front, I’m the biographer of legendary Detroit artist Charles McGee. Charles turns 90 this year and is being featured with an exhibition at Mongerson Gallery in Chicago. I wrote a brief exhibition essay for the show, and share that below. If you’re in that city – definitely recommend checking it out. And to learn more about Charles, you can see my earliest interview with him from 2004 here, a 2006 interview in Detroit’s MetroTimes here, an interview we did for an exhibition on process here, and the comic I made about him here. Charles is ever an inspiration. An exhibition celebrating the 90th year of an artist’s life might suggest looking back. For Charles McGee, however, making art is always an attempt to speak the language of the time and explore new means for expression. Thus, this milestone marks simply another day on his journey toward “what’s next?” His eye on tomorrow is not a disregard for what came before. On the contrary, McGee folds past into present, transforming and evolving in a continuity of growth. In some sense, each piece is autobiographical as it evokes the full continuum of his accumulated experiences. For this exhibition, McGee’s masterful handling of charcoal that first brought him to prominence in Detroit is once again on display. In “Jazz Shouts and Whispers,” his rich textures accompany the patterned surfaces of the amorphic dancing figures that have populated his compositions for the past decade. Layers of experience mingle together as these distinct elements are joined in new conversation. 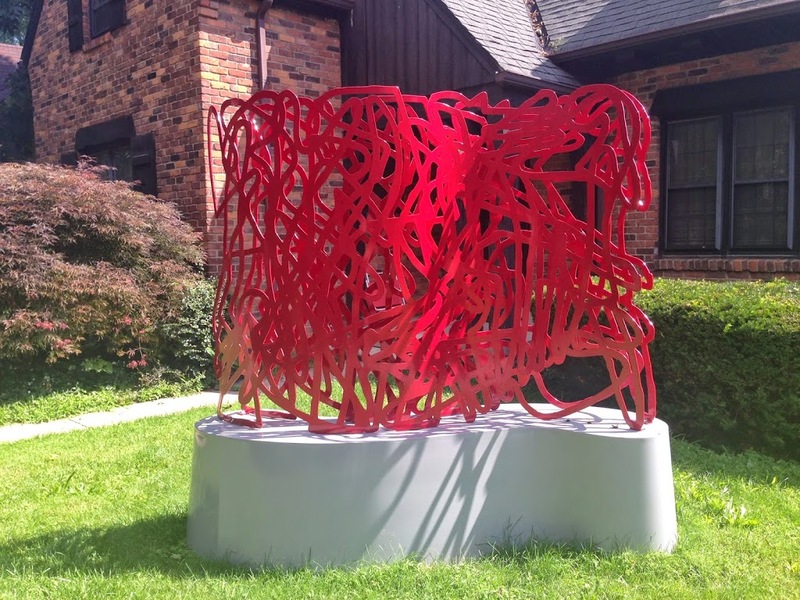 In “Lineage,” the vibrant red highlighting of jagged edges glows against the black and white line work and brings to mind his explorations of neon from the late 1970s – which in turn hearkens his earliest experiences of being dazzled by the signs and lights he saw upon arriving in Detroit, a visual shock for a farm boy from South Carolina. The electricity of that formative moment still burns strongly.